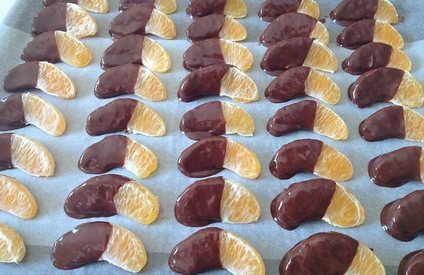 Chocolate and orange is a great flavor combination. This dessert is gluten-free and a great way to get the kids to eat some vitamin C. It couldn’t be any easier to make and even your children will love it . To step up the sophistication level, sprinkle a little sea salt on top to bring out the flavors.